NORTHTALE – sign to Nuclear Blast + to release debut album „Welcome To Paradise“ this summer! 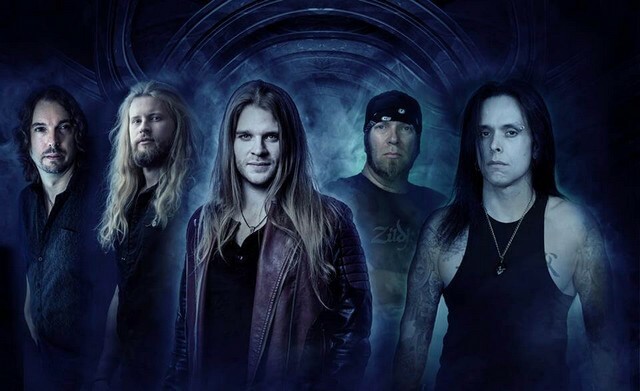 NORTHTALE – behind this illustrious name lies nothing less than a Swedish-American power metal supergroup! Formed by guitarist Bill Hudson (TRANS-SIBERIAN ORCHESTRA, I AM MORBID, ex-U.D.O./DIRKSCHNEIDER), vocalist Christian Eriksson (ex-TWILIGHT FORCE), and drummer Patrick Johansson (ex-YNGWIE MALMSTEEN, ex-W.A.S.P. etc.) in late 2017, the line-up was quickly completed by Mikael Planefeldt (bass) as well as keyboardist Jimmy Pitts. Now the quintet has finalised their highly-anticipated debut album entitled »Welcome To Paradise«, which will see the light of day this summer. Delivering a load of (largely) fast-paced anthems, imbued with Eriksson‚s soaring vocals, the band will not only please fans of titans such as HELLOWEEN, SONATA ARCTICA, GAMMA RAY, STRATOVARIUS among others, but draw new fans to the genre too. That’s why Nuclear Blast is happy to announce the signing of this promising outfit today. The group is set to conquer not only your audio systems, but also the world’s stages, with their very first gig to take place at their label mates SABATON‚s very own open air festival (Aug 14-17) and heading forward to two concerts in Tokyo, Japan for the Evoken Festival (Aug 31 & Sep 1). Stay tuned for further info…! 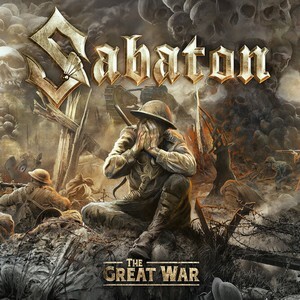 SABATON – announce new studio album „The Great War“! 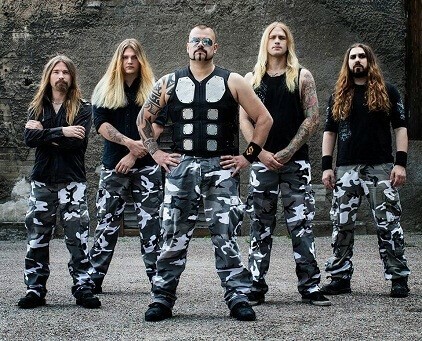 Today, Swedish heavy metal heroes SABATON reveal the title and artwork of their new studio album that will be released in summer 2019. This ninth full length record, that will see the light of day right in time for the band’s 20th anniversary, will be a concept album named „The Great War“covering stories from the First World War. „This is not the first time we sing about stories from this period in time, but now we felt the timing was right to make a full concept album about this war“, the band comments. US Power Metal act JACK STARR’S BURNING STARR started works on new studio album, entitled „Souls Of The Innocent“. The band once again teamed up with sound engineer Kevin Burnes and producer Bart Gabriel, with whom they did the last two studio albums, „Stand Your Ground“ and „Land Of The Dead“. „Souls Of The Innocent“ will be released by High Roller Records, and will be the first one with new singer, Alex Panza. „We the members of BURNING STARR are very pleased to have Alex Panza join us as our new lead singer“ says Jack Starr. „For those who have been following our band and my solo albums through the years, you will know that we have had some great singers in the past like Rhett Forester, Mike Tirelli, and most recently Todd Micheal Hall, and now we are proud to welcome Alex Panza, and we are sure that his voice and his singing style will be very much appreciated by our fans“ he adds. BURNING STARR is an American Power Metal band formed in 1985 by the VIRGIN STEELE co-founder and guitar wizard Jack Starr. After doing 4 classic albums in the ’80s: „Rock The American Way“ (1985) „No Turning Back!“ (1986), „Blaze Of Glory“ (1987) and „Jack Starr’s Burning Starr“ (same titled, so called „orange album“ from 1989), the band returned with a new line up feat. 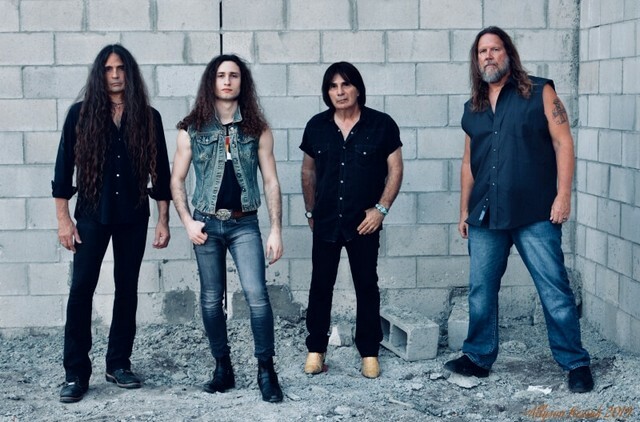 Jack Starr (guitar), Ned Meloni (bass guitar, ex JOE LYNN TURNER band), Kenny Rhino Earl (drums, ex MANOWAR) and Todd Michael Hall (vocals, now in RIOT V).